I don’t think we understand what that means. A divine interruption is when the Lord rends the heavens, and the mountains shake in His presence. A divine interruption happens when the Spirit falls and a church is released into the streets to boldly share the gospel. A divine interruption happens when people who have been filled with hatred, unforgiveness, lying tongues, prejudice, immorality, gossip, and strife fall on their faces and repent before a holy God. It happens in a prayer environment. It’s a heart rending, produced by being in the presence of God. 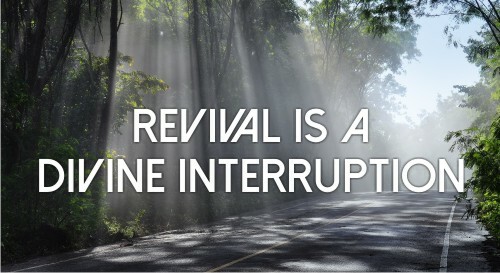 If we have a divine interruption, no one will be late for the meeting. No one will worry about their latte’ or their parking spot. The temperature in the room won’t matter. Everything changes when God shows up. There’s no clock in revival. I recently watched a video of what happened in a church in California when God showed up. In one week, 600 people were saved. It all started in prayer. It continued by embracing the children of the area and providing a safe haven for them. The pastor said, “Now folks are here 30 minutes before the church service starts. They can’t wait to get here.” In a divine interruption, the atmosphere is electric. Of course, America will more likely see a divine interruption of the judgment of God than revival. Why? Because we don’t really want God to interrupt our planned-out, prearranged schedules. We can’t put our cell phone down long enough to have a conversation with our family, much less with the Almighty. We like the noise of our own voices, not the noise of a wind from heaven. Revival begins when we exchange our fleshly efforts for an infusion of divine power. A spiritually healthy church will produce new spiritual life. Revival will not feed your ego; it will kill it. Revival will not make you famous; it will make God famous. Revival will shut some mouths in the church and open others. 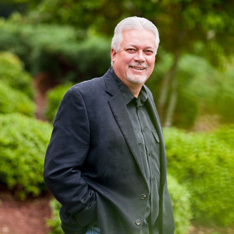 Revival will disqualify many who are leading the churches in America today. We will condemn the next generation of Americans to judgment if we don’t see revival. By the way, revival won’t come to your house if you are a God-robber. God can’t bless disobedience. Revival won’t come to a prayerless house. Revival will walk right past someone who doesn’t love the Word of God. Revival cannot be birthed in a carnal heart. So the question comes: Do you want revival? If so, it’s time for some adjustments. Lord send revival, and let it begin with me. My hear resonates with everything you’re saying and yet leaves me convicted.